Writers are observers. If they aren’t, they can’t infuse their work with the life details needs to create a connection between the reader and the story that they’ve worked so hard to bring out of their imagination. This means review life every hour, or more. This does not have to be LIFE. It mostly means life. It all counts, because your ficticious would has the same elements as the one we walk in now. Even if you write steampunk fantasy or crime noire set in an alternate universe, the elements of your life are what will bring life to your fiction. This includes your running list of regrets or undone chores or going over and over what you’d wished you’d said in the heat of an argument. This is the children’s constumes that you have no time to make, the car that needs new tires, the character you want to build. 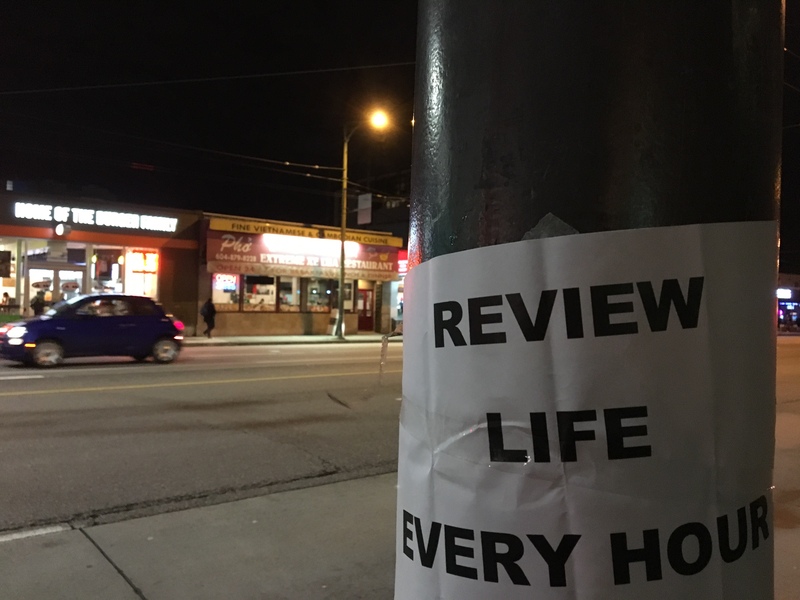 The poem that is an unwritten, even while it holds your heart in its grip as you stand on this street corner and are told Review Life Every Hour.